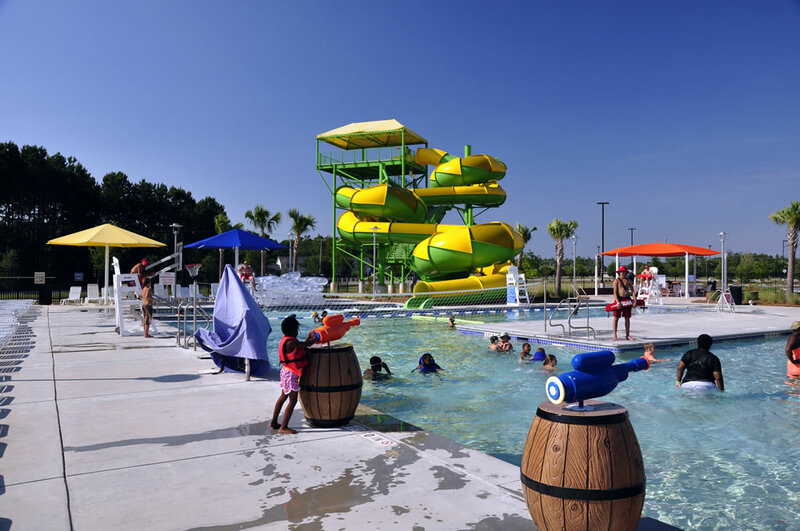 What better way to cool off from the summer heat than at the Santee/ Orangeburg County Aquatic Center? Have fun on the huge waterslide, dump buckets and pool side water guns. Open in the summer from June through September. The aquatic center is part of the Santee Rec Complex which also includes basketball courts, baseball fields, soccer fields, a bocce field and recreational pavilions.